Reports circulating on Twitter suggest that Scotland Yard has threatened Twitter users with arrests if they are caught “encouraging violence” on Twitter. Deputy Assistant Commissioner Steve Kavannagh said that Twitter users who were found to be inciting violence or looting could come in for police attention. 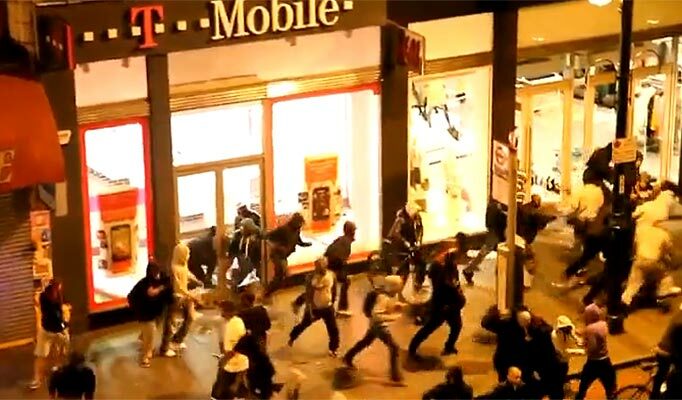 “Deputy Assistant Commissioner Stephen Kavanagh confirmed officers were looking at the website as part of investigations into widespread looting and rioting.” according to the Telegraph. It doesn’t seem like the best way to restore confidence in the police whose failure to provide adequate information to the family of their victim Mark Duggan caused the protest in the first place. Also – Twitter is an invaluable source of information to those affected by the riots – unmatched by TV or traditional news sites in being able to provide immediate and very localised information. It’s genuinely useful to scared residents in a way that the media and the police aren’t. And then there was the phone-hacking scandal – which didn’t exactly leave the Met smelling of roses, nor give us great trust in their ability to deal with sensitive information. 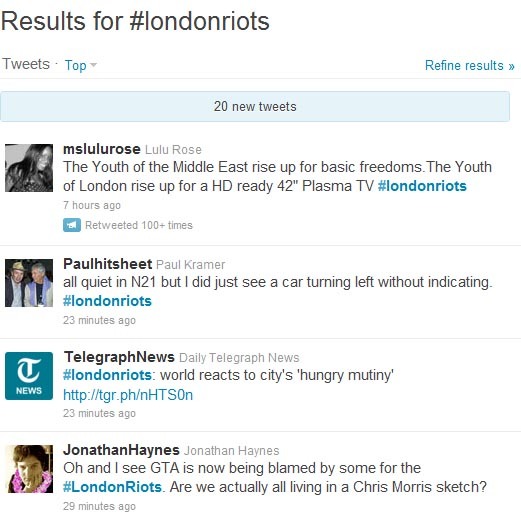 Err also, there will be several milllions of tweets on the LondonRiots hashtag so they might have a hard time finding the offending ones. It reminds us of this story: After Duncan Bannatyne threatens to break someone’s arms: Should we only tweet things that are true & responsible? and whether people should be held responsible for what they say on Twitter.